"Can a movie go too far?" A documentary film crew sets out to make a picture on the Yanomamo and Yacumo tribes of the Amazon Rainforest, who in this fictitious world are rumored to be cannibals. When the crew disappears, anthropologist Professor Harold Monroe sets off on their trail to the depths of the Amazon. The professor's contact with the two tribes calls into question the motives of the missing film crew, who may have not had the primitive tribes' best interests at heart. His training as a professional anthropologist will be put to the test when he enters a dangerous world of deception in the depths of the Amazon. 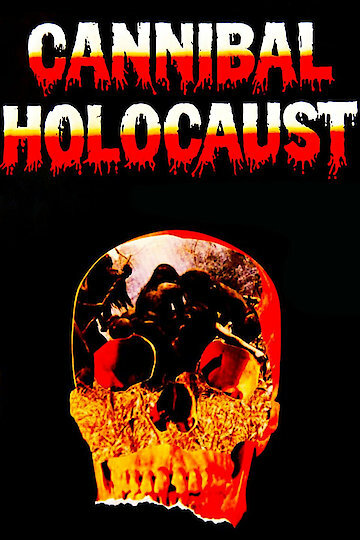 Cannibal Holocaust is currently available to watch and stream, download, buy on demand at Amazon Prime, FlixFling, FlixFling VOD, Amazon, Google Play, YouTube VOD online.